Three years after the tragic death of her brother Harry, Cassidy Evans is still struggling. Determined to focus on her career as an artistic consultant in London; when Cassidy lands the commission of a lifetime, she has no option but to dive in head first. There is just one very tall, very beautiful, man-shaped problem. Her attraction to her new client Rory O’Malley is proving impossible to ignore. Cassidy soon finds herself falling for Rory, and for once she allows herself to be swept away by the prospect of true love. 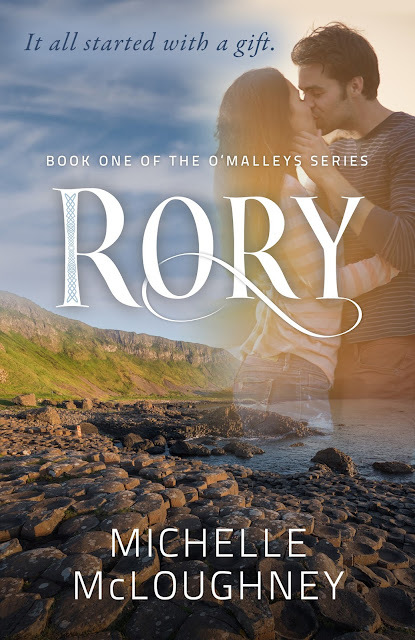 As CEO of the exclusive O’Malley Resorts, Rory frequently travels the world, a healthy bank balance and his good looks always ensure he has his pick of beautiful women. He has no interest in settling down, not now and not ever. Until he meets Cassidy. Now all he can think about is making her his, permanently. Cassidy is unaware that Rory harbours a secret about her brother’s death. A secret that could potentially ruin their blossoming love affair. Soon he is willing to move mountains to love-and-protect her, but should he be protecting her from himself? Cassidy has vowed never to make the mistake of loving a man again. So, how the hell did she end up in his bed? And how the hell did he end up in her heart? The attraction between them sizzles and burns, while love winds its grip around them both. But, secrets rarely stay hidden, and very soon Rory’s secret puts their love in jeopardy. Can Cassidy forgive the worst betrayal she has ever known? I wasn't sure what to expect at all from this book and this is a new author to me too. A great combination of emotions from sad to happy moments wrote in a beautiful way. You go on an emotional journey and a complete rollercoaster of emotions. At first I wasn't sure I was going to be able to carry on but I stuck with it and I'm glad I did. I don't want to give to much away but circumstances brings Cassidy and Rory together and sparks begin to fly. I'm glad I read this book and stuck with it even when I thought it was to emotional for me to keep reading. I'm looking forward to more.